My first attempts at displaying jewelry for sale were pretty bad. I knew at my first show that what I was doing wasn’t working so I began looking for better ways. Eventually I hit on a design for earring cards that works for me. It does two things. First, it displays the earrings vertically so that potential buyers can see how they hang. Second, it incorporates my business card so that it doesn’t detract from the earrings. I make these in batches of 10 or 15 at a time. That way as soon as I finish a pair of earrings they can go on display. 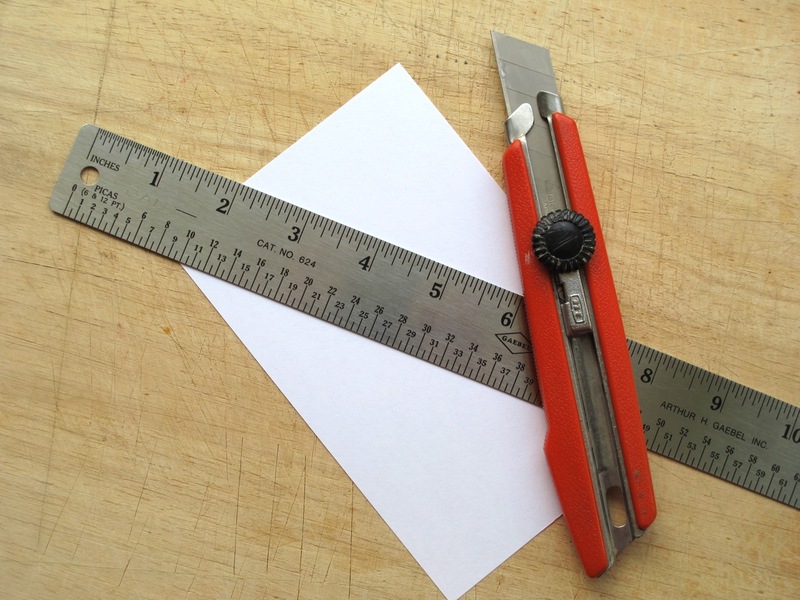 I use 4×6 inch blank file cards and cut them in half lengthwise using a matte knife. 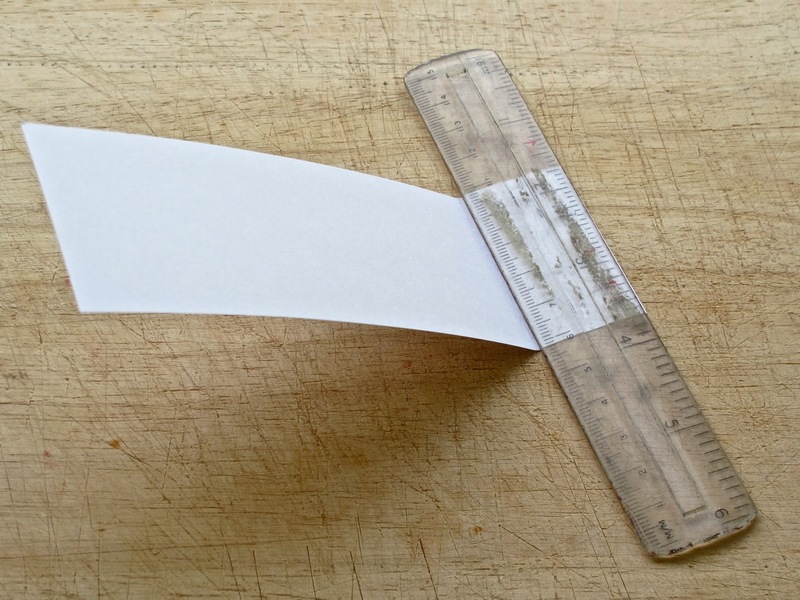 I use a metal ruler to guide the knife as it has a smoother edge than wood or plastic. An old bread board protects my work surface. Next tape the folded end of the file card to the business card. 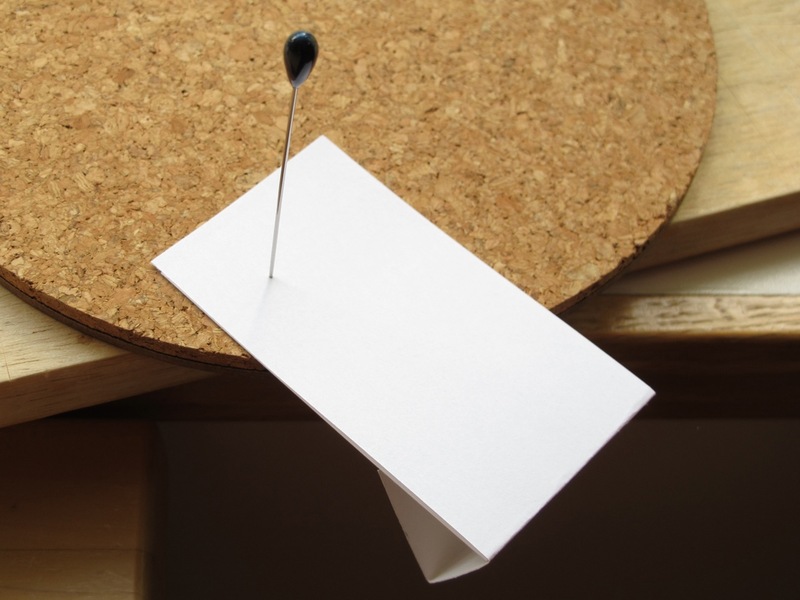 Make sure the folded file card is facing up as in the photo below. This will ensure that when a buyer looks at the back of the display your business card will be visible. Otherwise it will be facing to the inside of the display. I use clear/matte removable tape so the buyer can save my card. 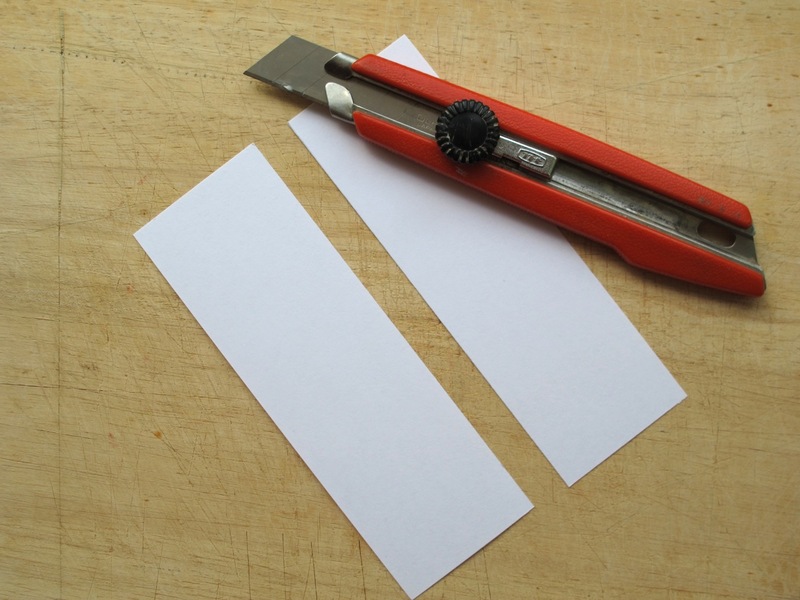 It may take a little practice to decide exactly where to tape the file card to the business card. 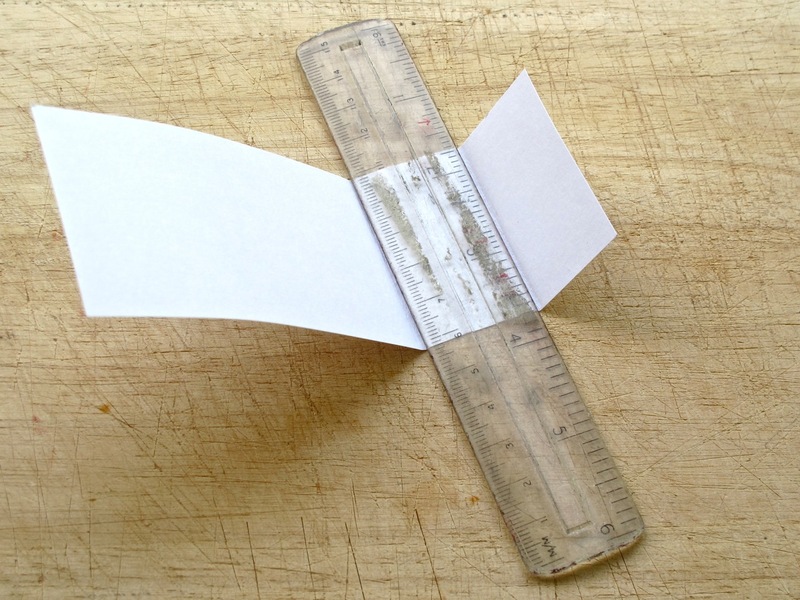 Fold the cards together to form a upright display. I use a large hat pin to poke holes for the earring findings. A piece of cork works well for this. Heavier earrings should be a little lower down otherwise the card will be top heavy and have a tendency to fall over. Add the earrings and voila! A pretty display for your lovely creations. Did you notice the rock in the last photo? If I’m selling outdoors or have a top-heavy pair of earrings, I tuck a small round stone out of sight inside each display to keep it upright. But don’t be too clever. 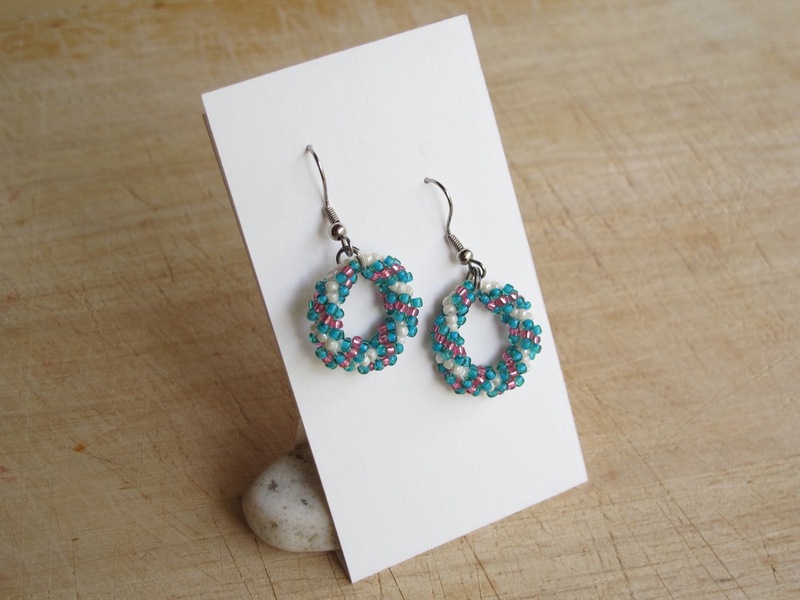 At a recent show a woman was about to buy a pair of my earrings but decided they were too heavy. I suddenly realized that she didn’t know about the rock. When I pointed it out she laughed and said in that case they were just what she was looking for and I made a sale! P.S. All things change — and so it seems do file cards. My original stock from years back finally ran out. It took me quite awhile to find blank cards again and when I did I discovered that they aren’t as stiff as the originals. They’re also slightly narrower — which means my business card sticks out a wee bit so for now I’m cutting the size to fit and only using one half of the original file card. 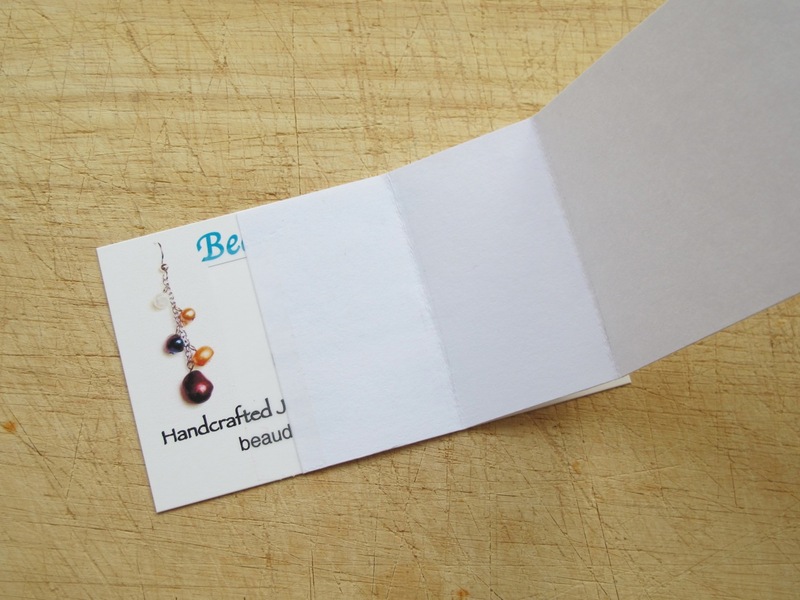 Categories: How To | Tags: earring cards | Permalink.